Supplied in a gift box and a wooden stand. Made from the highest quality optical glass. 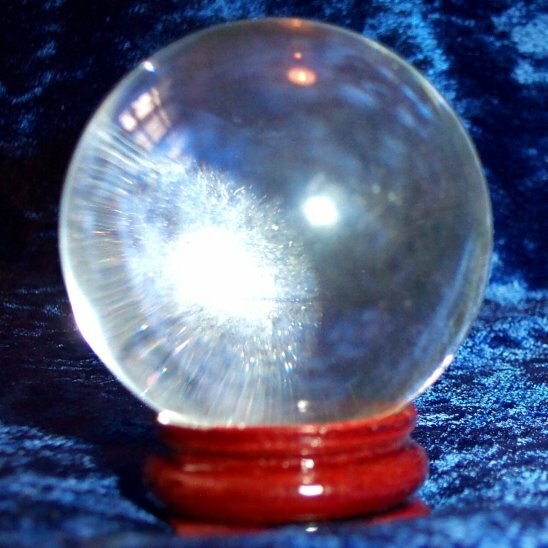 These Crystal Balls are "water clear" and have no flaws or imperfections. Perfect for scrying. Warning! It may seem obvious but please note that because of the optical nature of crystal balls, if left in direct sunlight there is a possible fire hazard. For example take care when displaying in windows.